It has been reported that people nationwide have complained of being ripped off by TrueCar online vehicle buying company and the auto dealers they work with. Through its website, TrueCar allegedly makes claims about how simple and hassle-free it makes the car-buying process, yet the experience reported by many customers is very different than advertised. If you or anyone you know has purchased a vehicle through TrueCar, please contact us at 817-455-6822 or through the form on this page. Located in Santa Monica, California, True Car, Inc. which was founded in 2005, operates a website called TrueCar.com that provides pricing and information for new and used car buyers and dealers. 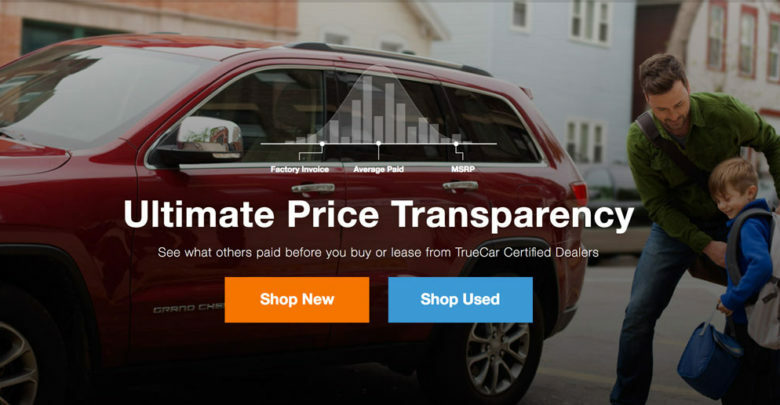 Buyers reportedly get information on what other people have paid for cars in a specified geographic area and can connect to dealers that are affiliated with TrueCar to complete a vehicle purchase through the website. The company reportedly has had more than one million vehicles purchased through its program and has a network of more than 10,000 dealers. Most of the alleged accusations center on TrueCar’s claims of a fully transparent, hassle-free experience for their customers. Customers say this isn’t true. Customers have reportedly been subjected to the same type of haggling for options and packages that non-TrueCar customers would normally expect to suffer through in a standard vehicle purchase. In the alleged bait and switch scheme, TrueCar claims on its website that it offers a truly stress free buying experience with no hidden fees or surprises yet when some customers have arrived at the affiliate dealerships they have been subjected to the same type of negotiations and haggling as any other auto buyer would. For more on this wide-ranging problem, click here. If you or anyone you know has experienced this sort of treatment at a dealer referred by TrueCar, please contact us at 817-455-6822 or through the form on this page. Lawyers are currently researching class action claims against TrueCar, which is believed to have falsely advertised the benefits of their services to consumers. If you, or anyone you know, has purchased a vehicle using True Car or any of its affiliated dealers’ services, please contact us at 817-455-6822 or through the form on this page. Contact our attorneys if you have any questions or concerns regarding this investigation.